Thatching in the counties of The South Eastern Lowlands. 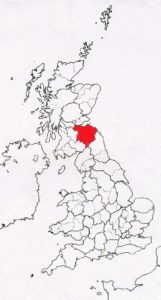 This section, covers the old counties of Peebles, Selkirk, Roxburgh, Berwick and the Lothians. 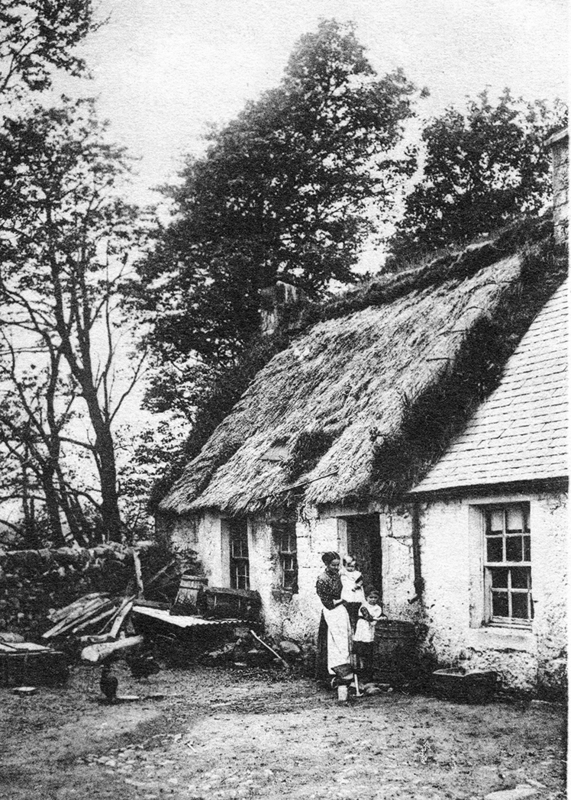 For a long while the thatch here has followed the Northern tradition; but Highland methods were once practiced, even this far south. 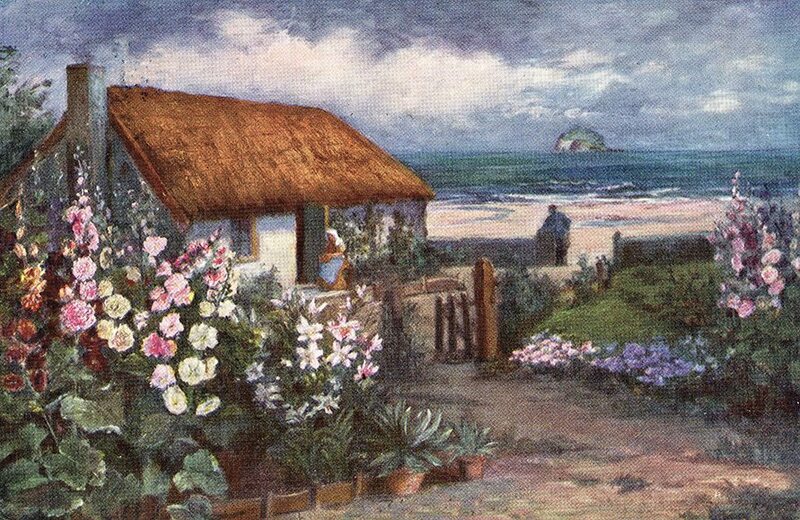 Seaside thatch… A fisherman’s cottage at North Berwick, in East Lothian. As depicted by the artist ’Jotter’ a century ago. Showing a Northern style boarded gable. 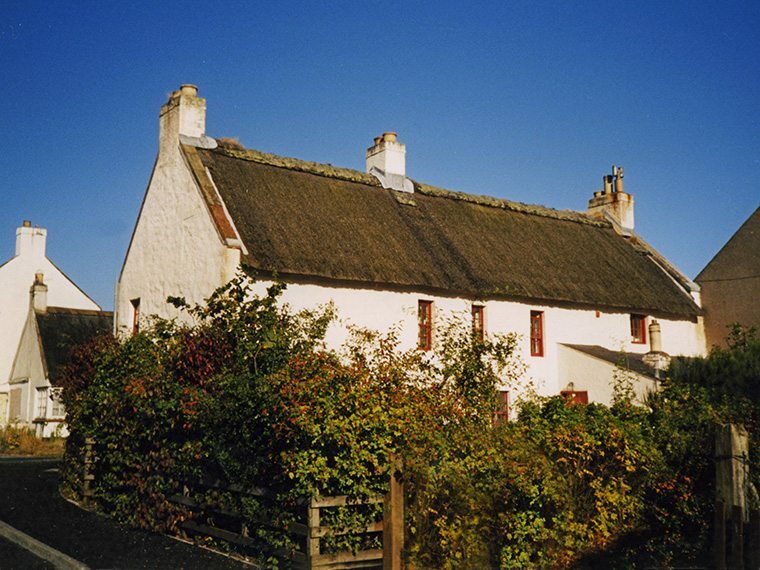 On this attractive thatch, overlooking the Bass Rock. 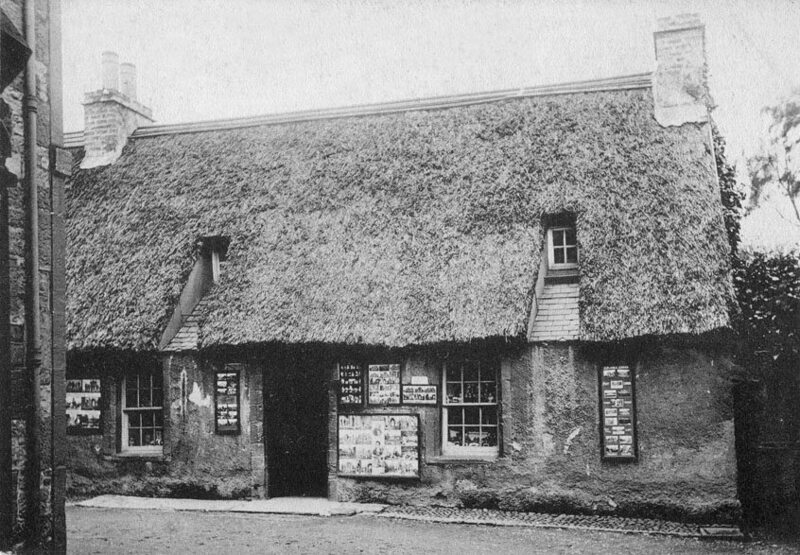 Around the same time the gentlemen reporters were on their travels, another gent needed a refuge and rented a thatched house… To escape the summer dirt in Auld Reekie, a young Walter Scott moved to Lasswade; just south of bustling Edinburgh, in 1798. Here he wrote some of his best early work. One late summer visitor, in 1803 was William Wordsworth. 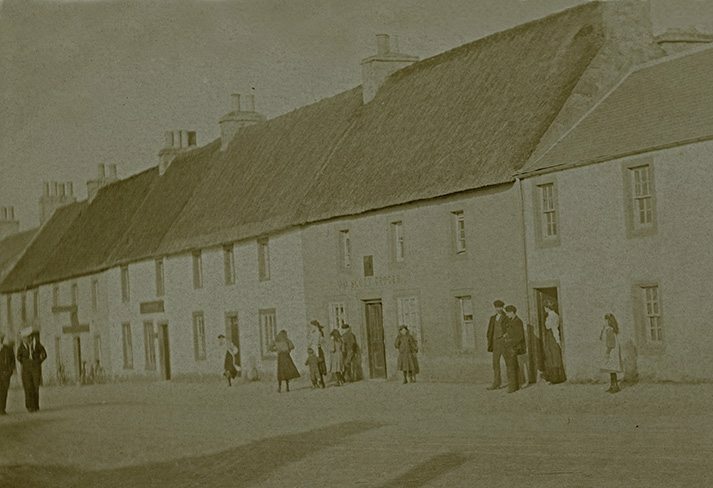 ‘Lasswade Cottage’ still stands; much altered. But the author would recognise the thatched wing, of his old home. 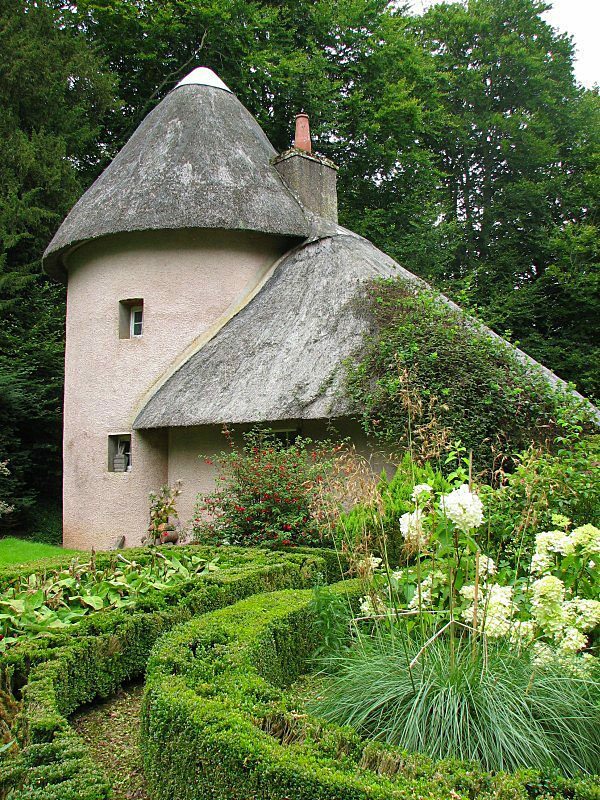 Author’s retreat… Walter Scott’s refuge; from the sooty air of Edinburgh. 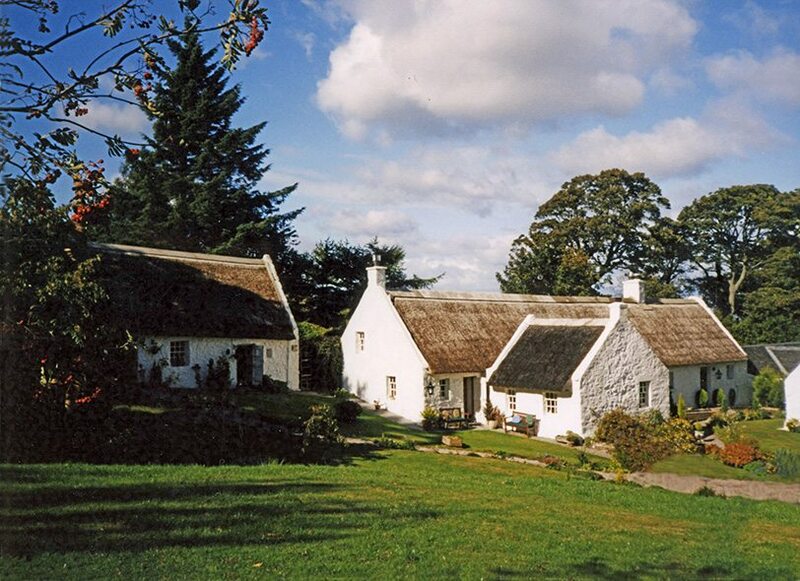 ‘Lasswade Cottage’, being in fact a rather large house. Newly built, in the then fashionable ‘cottage orne’ style. Another family made a similar move, in 1867. 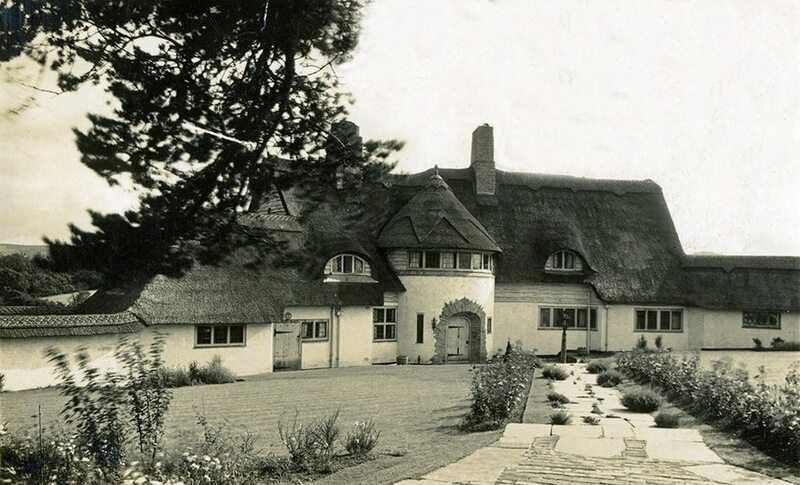 When the Stevensons took ‘Swanston Cottage’; on the southern edge of the city. Here their son Robert Louis, spent many happy summers, exploring the nearby seventeenth century, thatched hamlet of Swanston. He wrote with affection of this place, throughout his life. 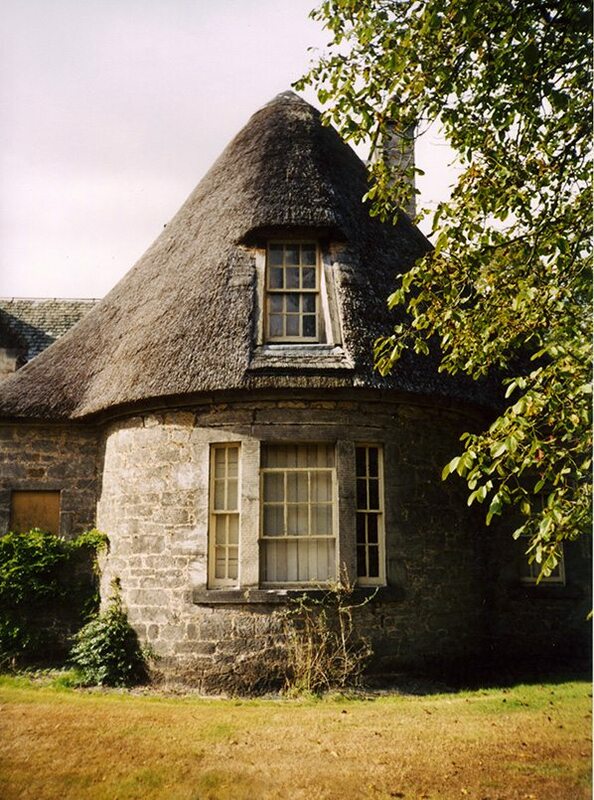 The straw and turf thatch of his day, has been replaced, by Tay water reeds and mortar ridges., but the single storey cottages, are much as he would have known them. Swanston….The author of ‘Treasure Island’ & The Strange Case of Dr. Jeykell and Mr Hyde’, would probably still recognise this childhood location. Two images, just outside Auld Reekie in around 1900. The right photo is of At Nine Mile Burn, just outside the city. The smithy here shows both ridge and gables or ‘Skews’ of turf. 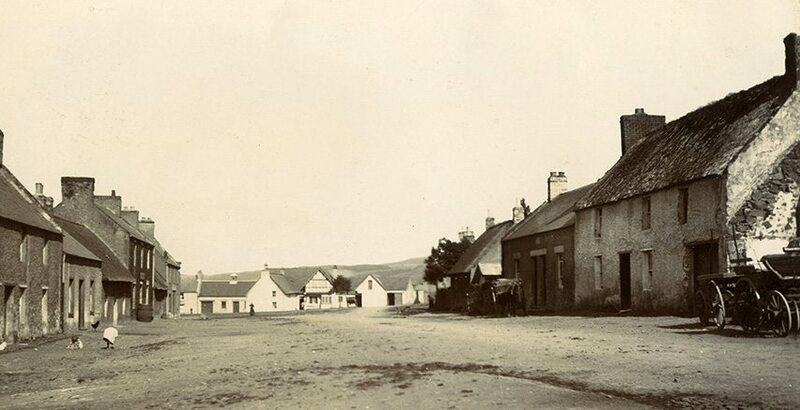 As described in the Agricultural Report of 1802, for Peebles. 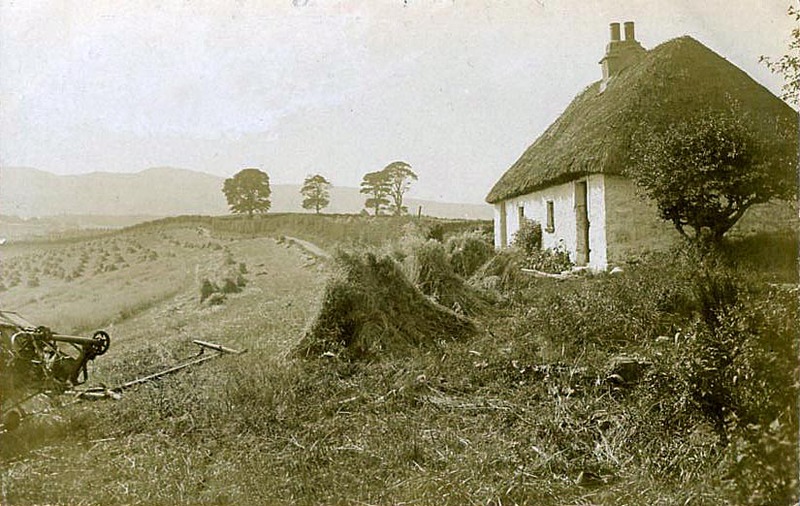 Timber ridged… This old image, shows a long gone roof, at Melrose in Roxburghshire; topped with a timber ridge and possibly coated with Tay water reeds. 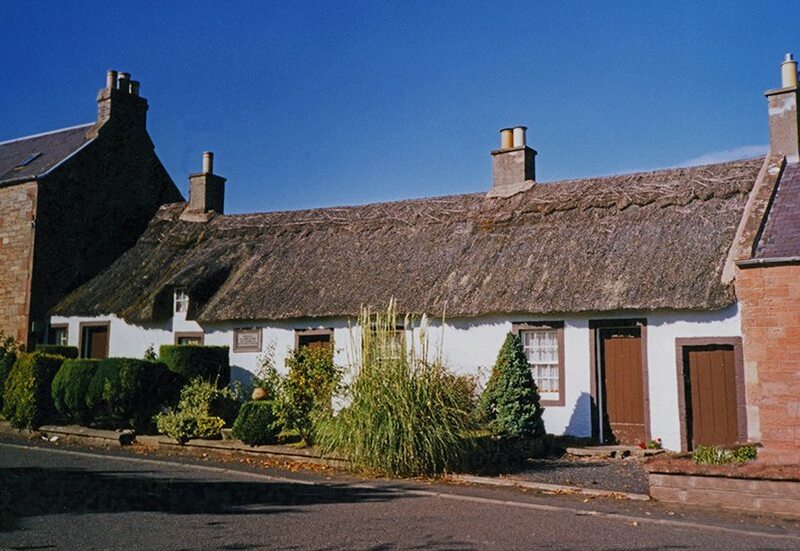 Denholm… It’s only thatch today, is the birthplace of Dr John Leyden in 1775. A shepherd’s son, who lived a short and interesting life. A friend of Walter Scott; a doctor of medicine and professor of languages, in India. Who died on an expedition to Java, in 1811. 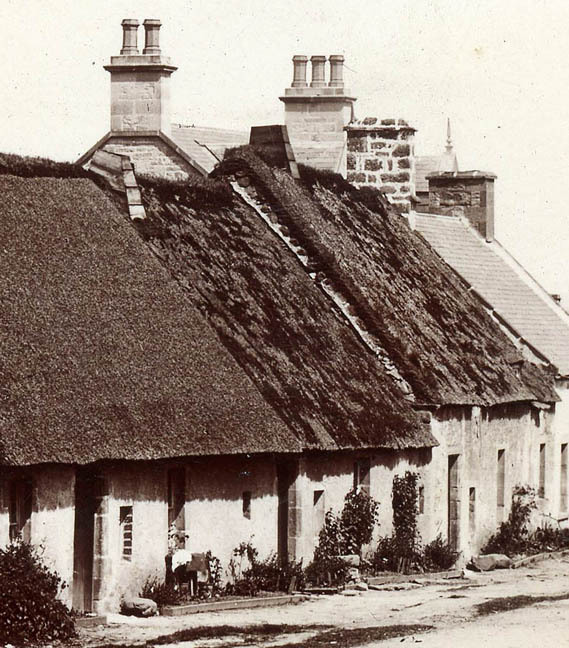 Old images of this cottage, show a Tay water reed roof, topped with a turf ridge. 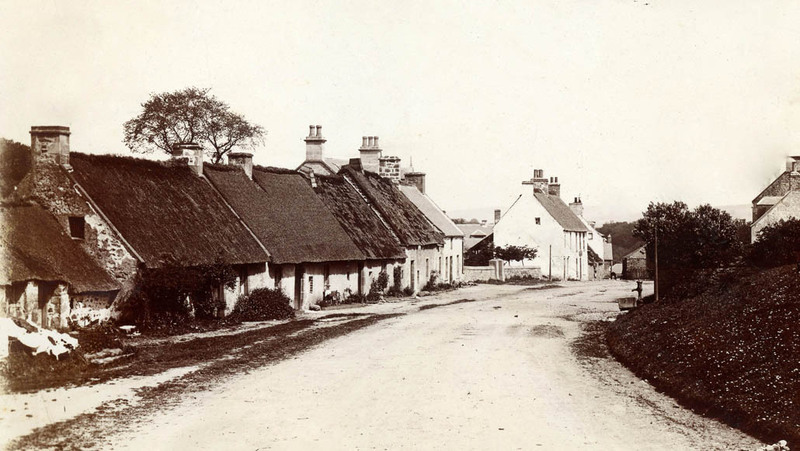 The right image shows, a row of thatched shops. In the good doctor’s home village, over a century ago. An Edwardian market place… at Kirk Yentholm. Still with a mixture, of tile and thatch dwellings. The newly thatched ones have a coat of Tay water reeds. But a century before this, in 1817; one Bailie Smith noted, the roofs were: ’straw covered’. With: ’chimneys bound with rushes and hay ropes’. 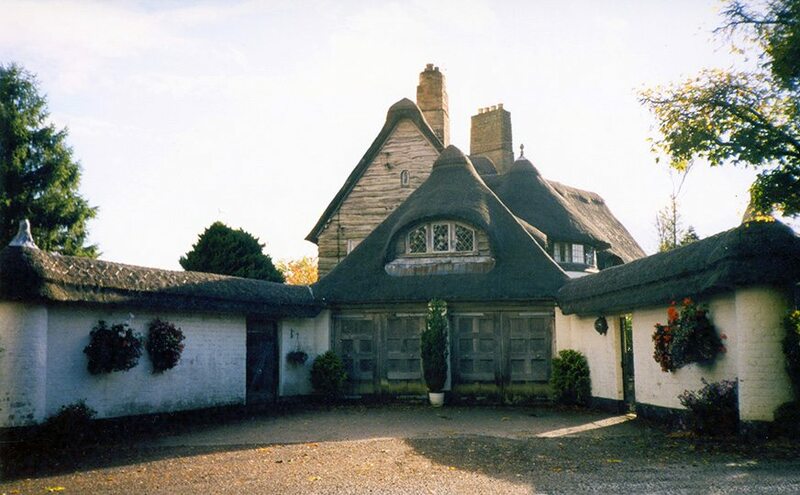 These being the thatched lums, seen in many an old image. 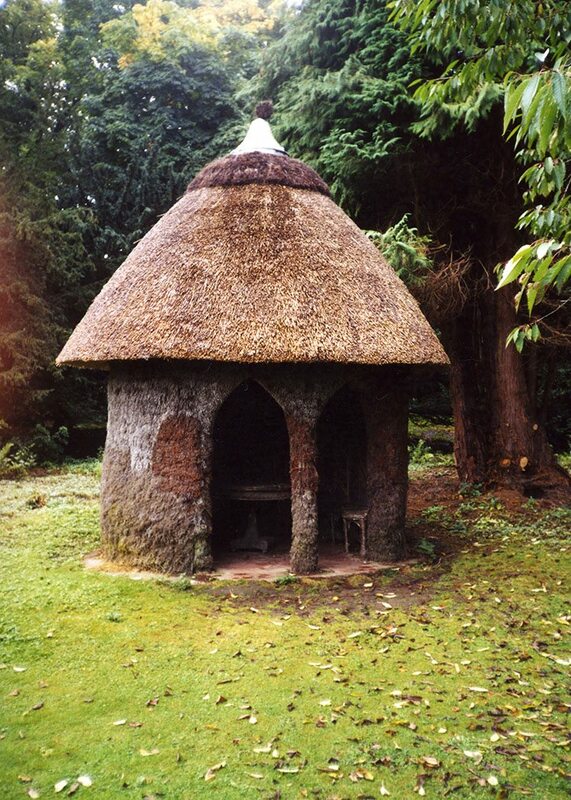 He noted the church also being roofed with thatch. Yentholms… Kirk Yentholm still has some thatch. 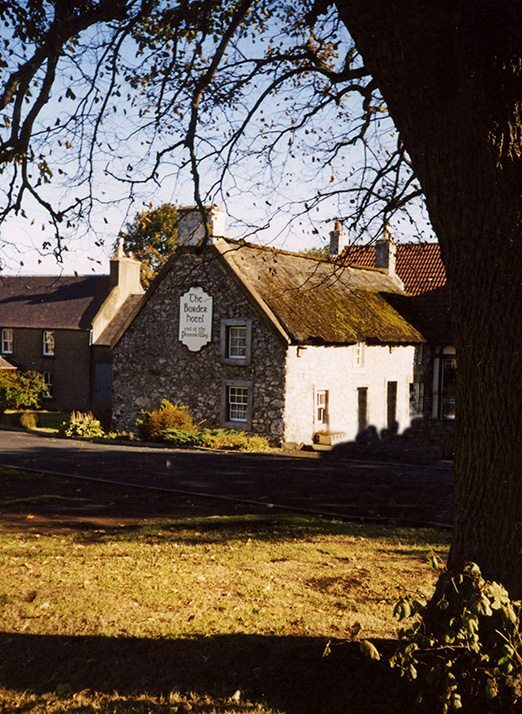 Including one of Scotland’s few remaining thatched pubs. The right photo shows a roof, in the sister village of Town Yentholm. With a Tay water reed coat, topped with turf. Others here are topped with tiles. However the other images that were taken at the same time, and the type of thatching shown here, point to a site in the south western part of this area. The thatch is very similar to the old images shown above, a mixture of straw, probably stobbed roofs and newer Tay water reed thatches. All topped with a ridge of turf.